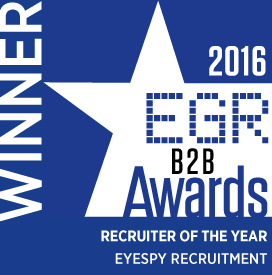 EyeSpy Recruitment offers contract and permanent solutions for our clients and candidates. We are a boutique agency with a truly global reach, working with companies from the iGaming, Digital, Finance and Legal sectors in over 30 countries. Since 2009, we have built a reputation based upon honesty, trust and integrity. These are the founding principles of our company and we uphold them with every candidate relationship we undertake. We will always try to go the extra mile in terms of service and the level of care we offer you. We are proud of our track record and so have outlined our customer care policy below. A consultative approach. We will always take time to really listen to our candidates, to fully understand their requirements. Availability. We’re always available to talk, evenings or weekends, to offer advice or to answer a quick question. Genuine industry insight. We apply our extensive industry knowledge to ensure you are fully prepped to shine in the interview process. Determination. We are relentless in our pursuit of meeting the needs of our candidates. An EyeSpyer will persevere where other recruiters give up. Honesty. We’re very transparent in our communication and provide genuinely objective advice. Accuracy. We pride ourselves in providing only accurate information to candidates. This ensures clarity for all parties and aids effective decision making. Relevance. We will only talk to you about relevant roles and we will never send your CV without express permission. We don’t waste anyone’s time. We work closely with a large number ofinternational FTSE100/250 brands based across the globe, high-growth SMEs and leading-edge start-ups. We span the following core verticals, recruiting for jobs in iGaming, Digital, Finance and Legal. Because we understand our client’s business and have such good working relationships with our clients, speculative approaches are also welcomed from us. At Eyespy we’re a friendly, down-to-earth team. We believe in forging strong relationships with candidates. The better we know you, the better we know what you want and where you would best fit. We do not believe in selling you the wrong job: we will discuss your experience and advise you on appropriate opportunities, giving you the freedom to decide the best way forward. We absolutely will never send your CV to companies without your consent and all discussions are totally confidential. Your dedicated consultant will advise you and help you prepare for interviews by discussing in detail what the role involves and what the company is looking for in their ideal candidate. You will have our support throughout the whole process from initial vacancy searching to starting that great new job!